Sitting at a favourite beachside café recently, I spotted among the display of black and white photos one featuring a group of World War 1 soldiers on the beach. According to the caption they were on leave or recovering from injury – there was a Rehabilitation Hospital in nearby Hampton. How they must have savoured escaping the squalor and carnage of the trenches. Although films and books such as Sebastian Faulks’ Birdsong have informed my knowledge of the Great War – the war that was to put an end to all wars – I never studied it formally in school. Even if I had, the focus would have been on the battles, movements of troops around the various fronts, logistics and numbers rather than the human stories. A friend of mine curated an an exhibition at the Melbourne Museum called Love and Sorrow, documenting the wartime experience of eight service personnel and their families. The exhibition was on for two years but, as it turned out, I got to see it the week before it closed – just before the Centenary of World War 1 in November last year.The exhibition started with the propaganda posters and parades extolling the virtues of courage, patriotism and duty. But following the trajectory of the eight characters and their families through photos, scrapbooks, letters, diaries and other personal effects, it soon became a story of separation, loss, trauma, mental and emotional disfigurement. One mother, on hearing her son was missing in action, was catapulted into premature senility, another sent her husband their new baby’s booties only to have them sent back – redirected – in the same envelope. How chilling it must have been to read the words: Return to Sender. One of the most confronting sections was ‘Men with Broken Faces’ – before the advent of sophisticated technology and plastic surgery, facial reconstruction methods were cumbersome and crude. One man who underwent surgery never went out in public without wearing a scarf over his mouth, his self-esteem and confidence as shattered as his jawbone. One of the more positive stories concerned Lil Mackenzie, an enormously plucky nurse who cared for patients in France and Italy close to the front-lines. She was summoned to Buckingham Palace to receive a Royal Red Cross 2nd Class for her outstanding public service. On returning to Australia, Lil and her sisters set up a care home in Boronia, Melbourne, and many of her patients were veterans. She lived to 90 but suffered bouts of depression after the war; no one came back from WW1 without some form of physical or mental scarring. The statistics were sobering too: over 60,000 Australians died in the war and thousands more went on to die of war injuries out of a population of only five million people. The stories of the eight characters got under my skin, and their sacrifice and suffering lent context and poignancy to a Centenary of Armistice 2018 service that I attended at Green Point overlooking the Bay in Brighton. As the Last Post sounded before the one-minute silence, I thought of all those who had set out with ideas of glory and heroism and either lost their lives or returned broken, tearing families, friends and communities apart. Soon after, I spotted Peter Jackson’s (Lord of the Rings) film They Shall Not Grow Old, which was on limited release in Australia. This extraordinary film co-commissioned by 14-18 NOW and The Imperial War Museum in London in association with the BBC used original footage from the trenches (stored in the Imperial War Museum’s archives) and used modern day technology to deliver it to us in colour. Using oral histories from surviving British veterans as the soundtrack and actors voicing beyond-the-grave dialogue based on forensic lip-reading of the silent footage, this film is a tour de force and offers a visceral snapshot of life in the trenches and on the frontline. The oral histories were recorded by the Imperial War Museum in the 1960s around the 50th Anniversary of WW1, the first time the human element of the war was captured. What struck me was the no-nonsense approach of the soldiers who approached the war as a job they had to get done whatever it took. Resilient, hard-working, committed and uncomplaining they got on with it. Watching footage of them enlisting (many lied about their age to qualify and none had an ounce of spare flesh– no fast food in those days), it was clear that they had to take whatever boots, shirts and uniforms they were given, irrespective of the fit. And they only had one change of shirt. Quite apart from the bombing, bloodshed and loss of life, life in the trenches was gruelling; from dysentery to rats, lice, the stench of rotting bodies, foot rot, frostbite, lack of sleep and the general filth and all-pervasive mud. And, yet, such camaraderie and mutual concern among the soldiers as well as an ability to make the most of any down time –playing cards, laughing, joking, telling stories and, of course, smoking. Lots of that back then. My immersion in all things WW1 prompted me to ask an uncle about our own family’s involvement. My great-grandfather and two great uncles served in the war but, amazingly, they all survived; how I wish I had known enough to ask them questions while they were still alive. However, my uncle did share a wonderful story of a musical legacy. In the 1890s a Belgian family came to live in England and in 1904 the father gave his musically-gifted son a black cello. So talented was the boy that he played for Queen Victoria. But in 1914 with the advent of the war, he packed the cello away and went to the front to fight for the British army. Senior officers heard that that the boy was a virtuoso player and gave him ten days leave to return to the UK to get his cello so that he could play for the troops. The cello got damaged along the way but was glued together and survived the war as did the man, who went on to teach cello at the famous independent school, Eton. Cut to 12 November 2018 and a contemporary pupil played part of Elgar’s Cello Concerto on the very same black cello as part of a Centenary Remembrance Service for the 1570 Old Etonians who were killed in World War. If that cello could talk, I wonder what stories it would have to tell. One of my Christmas presents was My Little Happy Book – a journal to record happy moments, happy scribbles, happy songs, quotes, meals – even dreams. Curiously there’s also a section called My Happy to-do List. While I am huge fan of lists, happiness over the Christmas holidays has been an absence of lists, deadlines and rushing. That’s the beauty of Christmas falling in the summer months – I’ve just about got used to hot, light, beach-y, seafood-y Australian Christmases, the sky an endless blue, the flowering gums alive with the squawking of Rainbow lorikeets, the jacarandas dropping purple confetti. Like August in some European countries, the whole place slows down, the vibe shifts to something kinder and gentler allowing the days to blur into one another. It’s like slipping into a timeless zone and pressing pause. At one point last year I had thought of visiting America or heading to the coast for the Festive Season. Neither plan materialised and, so, I have luxuriated in the simple pleasures afforded by a staycation. I like to honour the Christmas rituals of my childhood, one of them being attending church. Whether you are a believer or not, Jesus’ birth is a magical story and presents an opportunity for reflection and renewal. Over the years I have been to a local church – one year with both my parents when visiting from England, and last year with my mother. While I escaped my usual Yuletide sense of geographic dislocation and depression this year, I didn’t want to push it by attending a church service so redolent of Mum and Dad. My father used to love belting out O Come All Ye Faithful and Hark the Herald Angels Sing – I can see him, now, half singing, half conducting. Attending a German Meetup Group before Christmas, I discovered that there was a service on Christmas Eve at the German Lutheran Church in East Melbourne at 7pm. Here was an opportunity to embrace the Christmas spirit without any emotional triggers. I enjoyed listening to familiar readings from the Bible in German and tuning into the cadence of the language as well as singing well-known carols to German lyrics; it’s harder than you would think to get the phrasing and pacing right! Just over the road is St Patrick’s Cathedral, and as our service concluded, theirs was just starting, the bells ringing out in great rippling peals. One of my favourite sounds, I could have been anywhere in ‘Mittel Europa’ what with the magnificent tree sparkling in the chancel. Only momentarily, though, as the heat – half the congregation were fanning themselves with the service sheet – brought me firmly back to the Southern Hemisphere. After a delicious Christmas Day with my brother and his family of feasting, present-giving, snoozing, swimming in the pool and reading, I arm-chair-travelled back to Germany in the following days. Airbnb guests earlier in December recommended a German drama on SBS entitled Kurfürstendamm 56 and the second series Ku’Damm 59. Set in Berlin in the 50s, it’s the story of a mother and her three daughters at a time of huge political and social change. They own a dance school along the Ku’Damm and the advent of rock ‘n’ roll – and the looser morals that went with it – are just one of the challenges to the old order of genteel waltzes and tea dances. What a joy it was to have time to watch six 90-minute episodes and to give it my full attention. Although the plot became a little contrived towards the end of the second series, I was transported back in time and found myself gripped. I also went off to Oxford courtesy of a wonderful book called A Honeybee Heart Has Five Openings by Helen Jukes. The author reminded me of me! I also used to live in Oxford and worked for a charity. I, too, sometimes struggle with the rigours of the workplace, the pressure, the ever-shifting KPIs (key performance indicators) and suffer from computer neck. Jukes takes up bee-keeping as a way of changing her way of sensing and seeing the world. Another highlight was listening to a reading on BBC Radio 4 of Italian classic The Leopard by Lampedusa. English actor Alex Jennings inhabited the world of the fading grandeur of the Sicilian aristocracy of the 1860s brilliantly, inserting just the right measure of pathos and humour. Nectar – forgive the bee pun. I had a list of things I planned to do over the break and have ditched most of them in favour of rest, relaxation and a few refreshing swims in the sea with my dog Bertie. And the tasks I did accomplish had a quality of a spaciousness and didn’t have to be rushed, teeth gritted. Did I mention I managed to crack my dental splint towards the end of last year? The KPIs can wait till I start work again next week. I am hoping I don’t return to the scenario faced by Jukes after Christmas one year: “When I arrive there’s a new set of ‘key performance’ indicators on my desk – a New Year’s greeting from Head Office. Thirty fresh targets, divided into six neat categories, which we are now required to report on each quarter. Everyone’s fuming about it […] I want to throw the performance indicators in the dust bin.” I’m not saying anything. Could I trust him? Take him at his word? Or would he lead me astray (not again, I hear some of you murmur)? Even though – let’s call him George – spoke nice RP (Received Pronunciation) English, cut glass diction is no guarantee of reliability. George, you see, was very much a blind date. Although just about everyone else I know – bar perhaps Mum and other octogenarians – uses GPS navigation to get them from A to B, I am a bit of a Luddite and still use hard copy maps and the Melway. It’s part silent protest at the increasing digitisation of our lives, and part preference for following a route across the pages from end to end. So here I was in my rented Toyota Corolla, a sat nav virgin, with George the GPS my co-pilot. My brain wiring isn’t used to screen, voice, road and dashboard interactivity – there was no way I could listen to the radio as well as tune into George and take heed of the endlessly changing speed limits (I jumped the first time George beeped with a road safety camera warning). What would have happened if something went awry with George’s wiring and I ended up in, say, Port Lincoln, rather than Tanunda in the Barossa? You really have to trust the technology. To be fair to George, he got me to Tanunda although I had to ring the B&B where I was staying for directions for the last two kilometres as he took me in a big loop beginning and ending in Seppeltsfield Road. I arrived after an afternoon meeting in Adelaide about 4.30pm on Friday, just in time for a quick sunset walk. My original plan, had I left in the morning, had been to drive via German/Australian artist Hans Heysen’s (1877-1968) studio, The Cedars, near Hahndorf. Instead I spent a very enjoyable hour and a half in the Adelaide’s Art Gallery. The permanent collection in the Melrose Wing is divided into themes and combines some European classics – think Rodin, Van Dyck, Gainsborough, Hogarth, Reynolds, Stanley Spencer, Lucian Freud – with Australian artists such as Sidney Nolan, Hans Heysen and members of the Heidelberg school. And alongside cabinets filled with 18th century bonbonnières, scent bottles and snuff boxes are some arresting modern pieces, one of them titled We are all flesh, a sculpture of two horses made from horse skins (acquired from a tanner in Brussels) suspended from the ceiling. Saturday was my only full day in the Barossa so, as is my wont, I rather packed it in – barrelling around in more ways than one – as I had two fixtures shaping my day: a 2 pm cookery demonstration at Maggie Beer’s Pheasant Farm and a 7.30 pm silent movie night with live organ accompaniment in Tanunda. With George stuffed in the glove box, I started my day at the Mengler’s Hill Sculpture Park admiring the sixteen or so sculptures, most of which are hewn from local marble and granite, and enjoying views over the verdant Barossa Ranges. Chateau Tanunda was my next stop, a family-owned winery and bluestone estate built in the late 1880 by migrants from Germany – as is the case with so many of the Barossa wineries. As well as sampling some oaky reds and a botrytis (dessert wine), I enjoyed looking at the vintage photos of when the estate had its own railway. Next up was a trip to the Barossa Bush Gardens, a volunteer-planted native garden with prolific bird life and a backdrop of laughing kookaburras and screeching galahs and parrots. In the neighbouring nature reserve there’s an open-air chapel with a huge gum tree acting as a kind of altar and pews hewn out of tree trunks. I had a mini contemplative moment or two, but wanted to get to Maggie Beer’s so I’d have plenty of time for tastings in the Farm Shop before the cookery demonstration. For those who don’t know of her, Maggie Beer is an Australian national treasure – a bit like Britain’s Mary Berry. In fact, she wasn’t around on Saturday as she was resting in between filming the Great Australian Bake Off in Sydney. She pioneered the use of Verjuice (green juice from unripe grapes) in cooking and is also big on Vincotto (cooked wine made from non-fermented grapes). After wandering through the shop sampling delicious pâtés, salad dressings, jams, pickles, dark chocolate and vincotto paste, salted brandy caramel and passion fruit curd (I had thirds of the last three), it was time for the demonstration. Simple but delicious, we witnessed and tasted how much zip a bit of verjuice can add to sautéed mushrooms and roasted vegetables. After a cup of reviving chai and a quick flick through the papers in a café in Tanunda, I had just enough time to return to my B&B, shower and change for the evening. Tanunda is the kind of place where restaurant kitchens close at 9 pm so I needed to get dinner around 6 pm to make the silent movie show. And what a highlight that was. Built for Adelaide Town Hall in 1875, the magnificent Hill & Son organ, the oldest concert organ on the Australian mainland, is now housed in the Barossa Regional Gallery. The evening included a selection of 1920s silent film classics ranging from Charlie Chaplin and Buster Keaton to Felix the Cat. Accompanied by David Johnston, considered Australia’s finest exponent of silent movie accompaniment, it was a gem of an evening. What skill it is to play the soundtrack to those slapstick silent films and get the timing, intensity and nuancing right. My favourite was Felix the Cat: with just four main characters the laundry-washing mother; the piano-playing boy; Felix; and a bunch of cheeky mice, it’s crisp, funny and deceptively simple. What a treat. Walking back to my car I passed a wine bar with live music playing. Savouring a glass of smooth Cab Sav named Audrey (making me think Hepburn, a bit of a pin-up of mine) I caught the last quarter of an hour of music and got chatting to some interesting locals, one of whom I met for coffee the next morning. After coffee on the Sunday, my belly full of an enormous B&B breakfast, I drove back to Adelaide via a few more wineries: Langmeil (long mile in German) was once a small village which extended over a mile (hence the name) from the site of the winery to the church. Here I sampled some delicious reds, my favourite the 2015 Valley Floor Shiraz, and then I walked up to a small boutique winery, David Franz, with wonderful views over the hills. Here I tried and bought a rich, syrupy Shiraz liquor – rather like a young port. Then it was time to rehabilitate George and let him get me back to the airport, which he did, and on time. All is forgiven. I might even take him out again. A few weeks ago, I was sitting under a Canary Island Pine tree (Pinus canariensis) weaving three-stranded pine needles through a re-purposed children’s trampoline safety net. It required great focus and flow, feeding the needles through the correct holes to maintain the pattern of what would become an 8-metre wall hanging. Sheltered from the wind on one of those less kind late summer days, I was taking part in a community art project known as Refuge. Created by artist Carmel Wallace from Portland, Victoria, Refuge celebrates and pays homage to trees as silent and enduring witnesses of the past. The Canary Island Pine is in Brighton’s Billilla Gardens, an English-style nineteenth century garden with lawns, trees (many of them non-natives), flower beds and a water fountain surrounding the Art Nouveau mansion built in 1878. Now owned by the Council but leased to a Jewish Orthodox school, the gardens are open to the public. Other ‘migrant’ trees include two Bunya Bunya pines and a Canary Island Date Palm. Before the Suez Canal opened, the Canary Islands were a stopping-off point for sailors to the New World. Hence Carmel’s reference to trees as metaphors for Australia as a “nation enriched by displaced and transplanted peoples.” I have wandered many a time in the lush and leafy gardens, sometimes with my dog Bertie, or on summer days I sometimes go alone and lie under a tree with a book with just the rustling of trees for company. You can’t fail to spot the iconic Canary Island Pine with its distinctive shape. From the side it resembles the bustle on a Victorian dress with its backward curve. I love the way it commands the space. Sitting on a deep carpet of pine needles and weaving a row or two with Carmel, I discovered that the tree owes its singular form to a lightning strike in 1918 and that it is listed on the National Trust Register of Significant Trees. You can see the scars where the tree has lost branches, but I’d never lingered long enough to notice the jewel-like beads of sticky resin. Standing under the broad canopy of the tree and looking up offers a quite different perspective; the mosaic of sky peeking through the gaps in the branches, the sparkling droplets of resin sparkling against the reddish bark and the vivid green of the pine needles. Carmel is part of Bayside City Council’s Artist in Residence program and worked from one of Billilla’s studios – formerly one of the property’s outhouses. She uses variety of media in her work and often incorporates cast-off or recycled materials as part of an exploration into environmental awareness and ethics. Her studio is a magpie’s den of salvaged bits and pieces: spectacle lenses suspended on copper wire like chandeliers; a collection of drinking glasses and goblets from charity shops; wood, branches and leaves. The glasses are part of a work inspired by Tiepolo’s Banquet of Cleopatra (1743-44) which represents Cleopatra wagering with Mark Anthony that she can stage a more lavish feast and outdo the latter’s excesses. Eighty people from the community took part in the weaving, sharing stories under the tree, tapping back into the oral tradition of pre-literate societies. The process was timeless, meditative and encouraged contemplation, respect for nature and connection to the earth and community. Trees don’t rush, don’t judge, don’t gossip, complain or engage in conflict and warfare. They stand the test of time and bear witness to man-made and natural events. The Sunday before last I dragged myself out of bed early to get to a 10 a.m. Meetup group. Intriguingly titled ‘All My Friends are in Couples and I’m Single’, I thought it was worth including as part of my experiment with offline living. Sporting my five Euro sequined hat (purchased for the Gala evening at the International Fundraising Congress in Amsterdam last October), I yawned my way into the city on the train wishing I had stayed in bed. It’s busy in Brunetti’s on a Sunday morning. I scoured the place and eventually located what looked like the group. Disappointed by the imbalanced ratio of women to men, probably about 4 to 1, I hovered with my pot of tea and wondered where to sit. The group was arranged around a long refectory-style table which made it difficult to circulate. As much as you can ever judge a book by its jacket, I liked the look of a man at the far end; he was slim, with receding, greying hair and had an air of refined intelligence about him. He seemed engrossed in conversation with the woman next to him. Hmm, how could I break in? As I approached I noticed that they were both wearing wedding rings and seemed uninterested in mixing with the rest of the group. It wasn’t till they had eaten their breakfast and left that I realised they were nothing to do with the Meetup. And that they must have been married to each other. Good start, Charlotte! I had to stifle a little giggle at this point. Instead I got chatting to one of the three remaining men. Stocky but clean shaven and OK-looking, he tucked into a hearty plate of smoked salmon, scrambled eggs and mushrooms while I sipped my English Breakfast. His opening line was to admire my hat, so I had to give him credit him for that. Bridget Jones-like, I made a note to self that the hat might come in handy on future sorties into the dating world. He didn’t waste much time in letting me know that he was comfortably off, his IT business pretty much runs itself and he has plenty of free time to travel (business class, of course), play golf and go to the gym. But he confessed that finding someone to travel and enjoy life with is proving a challenge. In the next breath, he related his bad experiences with internet dating, telling me that half the women he was interested in turned out to be resident overseas and those on these shores were mostly gold-diggers. Doesn’t he see a connection between bounty hunters and him flagging (bragging about) his wealth as a selling point? And, moreover, doesn’t he see that most of us would only see the wealth as a bonus if it were part of a package involving an interesting personality, a strong level of connection and shared interests? One woman who had ensnared him had persuaded him to join her on a European river cruise. It later materialised that her female travel companion had had to cancel at the last minute and so it was more about finding a convenient stand-in. It didn’t go well but he did enjoy the Abba Museum in Stockholm. 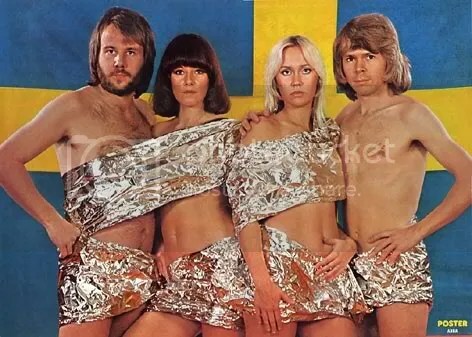 Turns out he was right on trend with that one given the recent news about Abba making a comeback. To which I can only exclaim: Mamma mia! His hand brushing momentarily over my right hand, he admired my pearl ring and told me he had tickets for the opera. And maybe I would be the lucky one. That, at least, sparked my interest. What opera and which company? He didn’t know any of the details, only that it was an opera. Call me fussy but he would have needed at least to know the name of the composer and the opera. He came across as a box-ticker. Trying to do and say the right thing. If he were an item of clothing, he’d be an off-the-peg number whereas I prefer the designer gown approach, one of a kind and plenty of character. This is a film that will resonate with many women who have held back from saying what they really want to say. I can think of times in my life when I wanted to let rip but didn’t. Such as the self-important work meeting where I fantasized about sweeping all the coffee cups off the table and screaming out in frustration, and the post-argument lunch with an American boyfriend in Paris (he was ultra-preppy and precious) where I seriously considered upending my bowl of vinaigrette-drenched frisée au lardons all over him and his Calvin Klein suit. Then there’s my alter ego who writes anonymous letters to neighbours about squawking parrots in cages or puts up notices in the dog park warning of the karmic consequences of not picking up the poo. In No Filter Paz doesn’t fall for the guilty overtures of her hopeless husband. Or her ex who questions if she wants to remain on her own. No, she replies, I don’t want to be alone. I want to be with myself. She reclaims her life and her voice, and, case packed, takes off to the airport. Flying Solo – the flipside of the relationship coin – at its best. I’ve been in a very quest-y phase, working on creating what comes next in my life. Other people get hooked on drugs, gambling, food, shopping – name your poison – but I find self-development can be quite addictive. I’ve always been very determined to steer my life forward, even more so when setbacks occur. One of my goals this year is to build my finances, which, for me, equates to freedom of choice. I’m not interested in designer labels, handbags and luxury restaurants; it’s more that I don’t want to be doing a desk job at 75, or even 65 for that matter! But I do want to increase opportunity and decrease stress. Earlier this year I signed up to a 27-day online course – I forget the exact title – but something about manifesting financial abundance. It involved creating a positive ‘attitude of gratitude’, re-framing limiting beliefs and writing affirmations. The values and mindsets we grow up with do play a part in our relationship around money – that bit rang true for me. But I found the affirmations written in quasi Biblical archaic language risible: ‘my lamps are now filled with the oil of faith and fulfilment.’ But, for sheer ridiculousness, nothing compared with the Feng Shui cures. I’m pretty broad-minded when it comes to ‘alternative’ stuff whether it’s past lives, angel guardians, karma, soul contracts, tarot or the one-ness of all things, but I draw the line at these hocus pocus cures and the investment of time they require. For example, the cure that called for water collected from nine successful businesses between 11 a.m. and 1 p.m. Once collected, you had to put the water in an empty vase, rub a little over your hands and chant a mantra visualising the water turning into not just wine (Biblical scholars will pick up the reference), which was spelled as whine (ouch), but actual money. Then there was the instruction to collect soil from a rich person’s house – with their permission. There are plenty of wealthy people living in expensive real estate in my suburb, but I am not going to go round with a trowel and ask if I can dig up a bit of their garden so I can plant my seeds of wealth. Who knows, maybe they would think I was some kind of plant thief or worse! The crazier the cure, the longer the explanation; this one also required Chinese coins, silk or cotton in five different colours, money from nine different countries, dried foodstuffs and 100 coins of any denomination. Coins and foodstuffs combined have happy memories for me – Christmas pudding baked with sixpences inside, a tradition that harks back to ancient Yuletide customs. Talking of baking, another cure recommended fixing one or three convex mirrors above the stove in the kitchen. The aim being to energise your money luck and prevent your money going up in smoke. But my favourite was the one about bathing for precisely eight minutes in walnut juice (made from boiling whole walnuts that had been soaked overnight), making sure you immersed yourself fully – head included – seven times to wash away any feelings of unworthiness blocking your money luck. I don’t know about you but I prefer my walnuts in a piece of cake or encased in chocolate. Interestingly although abundance did not manifest in 27 days (who knows what would have happened had I faffed around with vases of water, bowls of rice under my bed, jade plants with coins buried in the soil not to mention walnut baths), some useful financial tools and tips came my way. A friend recommended comedian Claire Hooper’s Pineapple Project on Radio National. To quote from the blurb: learn what rich people know, how poor people think, and how you can take control of your coin. From how to save smarter, to earning more, and setting yourself up for a secure future, it’s all the money skills no one ever taught you. Incidentally, did you know that a $50 dollar note in Australia is colloquially referred to as a pineapple? I didn’t. The podcasts covered lots of ground from interviews with super rich retail giant Gerry Harvey to a mother feeding a family of four on $50 a week. But it was the episode on debt control – or lack of it – and low levels of financial literacy among women that made the greatest impression. Particularly the story of a woman in her 20s who had been through an acrimonious divorce and, keen to cease contact with her ex as soon as possible, settled for the investment property while he kept the apartment they had shared. She thought that sounded fair until she realised the investment property was heavily mortgaged. Alone and devastated by the divorce she sought refuge in spending with the help of four credit cards, and soon failed to keep up with the mortgage payments. It wasn’t until she received a letter from the bank re-possessing the property that she realised the gravity of her situation. But what I found most upsetting is that this woman, already up to her eye balls in debt, then invested $15,000 on ‘Get Rich Quick’ courses and workshops. It seems as if her ex-husband, the bank and so-called self-styled gurus were all out to manipulate her. At this point, I should say that my online dabble in financial self-helpery only cost me $30. In a nice twist of synchronicity, the following week I received an invitation to a free local seminar – Inspiring Conversations for women: Empowering Your Finances. I reckon I will come away with some useful tips, none of which involve water or walnuts. And creating a budget and finishing reading The Barefoot Investor are on my list. But I confess to still being a bit of a dreamer and, secretly, long to be part of a discovering a-million-dollar-Old-Master-in-the-attic story. A few weeks ago, I went on an Airbnb Experience, an Antique and Treasure Hunt. Darren used to be in insurance dealing with cyclone and bush fire-related claims, but got tired of ‘dealing with death’. He now has a portfolio career and plays in a couple of bands, is an Airbnb host and buys and sells antiques online. It’s all about having a keen eye and knowing what sells. We had a fun day out and I learnt about some of the things that command a good price such as antique book boxes (trinket boxes masquerading as old classics), Barsony lady table lamps (Barsony denoting matt black coloured ceramics named after Hungarian refugee George Barsony who came to Australia in 1949) and Kiss (the band) memorabilia. My purchase of the day was a $13 pair of jeans that fit me like a glove – nothing I can translate into retirement millions, but a good money-saving buy. And last week I had two wins: a fine bottle of wine in a door price and $37 in the lottery. Maybe my cup will soon runneth over. Meanwhile I should have enough oil to keep my lamps of faith and fulfilment burning brightly! Last week was a bit of a flat-liner for me; life consisted of patchy nights and weary bleary days of fog-brain and fatigue. By the end of my working week on Thursday I felt desiccated in mind and body and was ready to hang up my tools. As I was wolfing down some pasta (gluten-free, of course) before choir practice that evening, a text came in from my friend Nick. And it was bad news: the eldest of his two Border Collies, Woody, had been diagnosed with internal bleeding and tumours. The vet was due to go to their house that night to release him from his old age infirmity – he was thirteen and a half. Tears welled up and dropped into my dinner. I felt the grief as sharply as if it were my dog, Bertie. That all-familiar sense of absence and loss. Beautiful Woody, who, although increasingly arthritic as he aged, still embodied so much joy, innocence and playfulness whether luxuriating in puddles or hanging out with his ‘bitser’ girlfriend Minnie, a dog about a tenth of his size. Woody had the biggest heart – he’d rush across the park to greet me with great whooping barks and then he’d dance around and make a fuss of me. He made me feel special – I used to joke with Nick that if I found a man as devoted as Woody, I’d be doing well. On arrival at choir, I felt dizzy and spaced out and, when a fellow chorister, Steve, who also writes grants for a living, mentioned a particular grant round, I couldn’t make sense of what he was saying. And that was it: the floodgates were unleashed, this time in great wracking sobs. My speech somewhat incoherent, I tried to explain how the news about dear Woody had tapped into a seam of grief. And I was so sad I hadn’t had chance to say goodbye – particularly as I hadn’t seen Woody for several months. We’re not very good at goodbyes in our family and I am no exception. There have always been so many comings and goings; by the time I was fifteen, I had lived in nine houses and been to eight different schools with a spell at boarding school. You could argue that all the chopping and changing of friends and places might have made us more practised in the art of efficient, painless farewells, but the opposite seems to have been the case. Even when I make a conscious decision to leave something or somewhere that no longer serves me or gives me joy, it can create emotional upheaval. Reading recently that Frances Lincoln Ltd, a publishing company where I worked from 1988-1995, had been sold to the Quarto group, brought back a flood of memories. Started by Frances in 1977 it was the publishing house for quality gardening and illustrated books; the attention to detail was extraordinary. I realise now what a privilege it was to work there. And it was fun; trips to book fairs in Bologna and Frankfurt and to publishing houses in Europe and America. As the article notes – there was a huge overseas market back then for books on Gloucestershire ladies’ gardens. I loved my job but was feeling a bit burned out when I left after seven years. I jumped off with no job to go to and, instead, took off to on my travels – mainly to Australia. It was a bold move back then when the concept of the adult gap year was still in its infancy. I was given the most lavish and warm-hearted send-off – and a hand-made card designed like one of the titles on the children’s list complete with the most cleverly-worded blurb full of in-jokes and references. Although I was excited about pastures new, I cried almost non-stop the day after my leaving party, reflecting on the friendships I had formed and the many shared experiences – all those publication deadlines, conferences and overseas trips were deeply bonding. My colleagues had become part of my family. Grief can strike at your very core even when you have chosen to move on. And that’s why farewelling an animal friend, one that has shared our life day and night over several years is so extraordinarily painful. Because we can’t intellectualise, verbalise or rationalise with our animal friends – as we might prepare for the end, say, with an elderly relative – it requires us to be present emotionally and to communicate with our senses and heart fully engaged. Maybe that’s why even the toughest and most pragmatic of people crumple when their dogs depart this life. When I first moved to Australia, I bonded with my brother’s Blue Roan Cocker Spaniel Mudgee. Looking back, she helped me get through those first few difficult few months. She was a loving presence offering unconditional love and support. When she died, I cried on and off for weeks, great noisy sobs that shook my whole body. But there is a silver lining to this tale. After choir on Thursday I got another text from Nick to say that the vet had failed to show up and that he would bring Woody for a final sniff round Dendy Park on Friday morning. A bit like a person with a terminal illness might rally before they finally succumb, Woody had a spring in his step, was barking and loving all the attention as his tearful human friends gathered to say goodbye. And I am happy to report that Woody got to enjoy one more weekend on earth and swam in the sea on Saturday. I feel so blessed to share my life with a canine companion. Woody’s departure (last night) reminds me to cherish Bertie all the more. If it weren’t for him, I would never have net Nick, his wife Saabi and their dogs (Woody leaves behind Jessie and Belle). Even writing this post is wringing the emotion out of me. This blog is dedicated to Woody and to all my canine friends past and present. Their gift to us silly humans who make such a mess of so many things with our supposed superior intellect and powers of reasoning is their unfailing and constant loyalty, devotion and love. They stand by us through thick and thin; they don’t say one thing and mean another, harbour grudges, judge, change their tune, blow hot and cold, play games (unless it’s ball-chasing) or leave us guessing. Theirs is the language of unadulterated love. They just are. Which is why it’s so very heart-breaking when they go. RIP dear, dear Woody. You will be greatly missed. Whatever the history of Valentine’s Day – and there are conflicting versions – the month of February has come to be associated with romance, love hearts, lots of coochy-cooing, red roses, chocolates, gift giving and specially themed dinners, not to mention Hallmark greeting cards. So I thought it was a good time to revisit the thorny (that’s the trouble with the roses…) issue of dating and how to find love. Friends who have been married for many years or ensconced in long-term relationships – perhaps envying me my freedom and flexibility – tell me not to bother: “You don’t want to tie yourself down.” Then Dad’s partner used to worry that I wouldn’t want to iron a man’s shirts and put dinner on the table each night. I didn’t have the heart to tell her he would iron his own shirts and that we would most likely share the cooking. Just because romance may have been killed off or long ago faded for some shouldn’t spoilt it for the rest us. I haven’t yet abandoned the pursuit of romance, frills, bows, bells and all – just spare me the Valentine’s schmaltz. Past child-bearing age and the pressures of juggling work and a young family, romance for the 50-something can be wonderfully rich and satisfying with opportunities for love, passion, companionship, shared travel and joint voyaging through all that life has to offer. There’s a more mature model on offer with less to prove and more to enjoy. According to the Australian Bureau of Statistics divorce rates have increased among the 55-plus age bracket – a trend that is being driven mostly by women (so what’s new?) – but what this means is that there is a pool of second-time-arounders coming back onto the market. During a brief flirtation with internet dating a year ago, most of the men I met had very recently separated – some were still dividing up the spoils down to the pots and pans – and clearly nursing wounded egos hence their rush to go online and re-partner. But I did also meet others who had let themselves settle and adjust. Just none that I felt like pursing. There’s no question that there are men out there, but is it possible to by-pass all the frog-kissing, data-trawling, profile-perusing trials and tribulations of online dating and find love in the real world? I’ve decided to conduct a social experiment and find out. I went to a party recently and got chatting to a woman in her late 50s. She told me she’d been widowed, sold the suburban family house and bought a flat with fabulous city views. Noticing she had a new partner, I asked how they had met. Although they were introduced by a mutual friend, Angie had dabbled in online dating and instanced one man who had suggested, as a first meeting, a rendezvous at the airport on the way to a holiday in Hawaii! Talk about speed dating! They suggested I take up golf – the idea being that there are always men on hand to help and advise with one’s technique. This puts a new spin on swingers, just that these ones would be in collared Polo shirts, checked trousers and studded shoes. Golf is just not me – from the clothes to the clubiness. Although if a potential partner were a keen golfer, I’d be sure to get some space and time to myself. I am not looking to trade flying solo to being joined at the hip 24/7. I’ve written in previous blogs about maintaining some degree of independence, perhaps living in separate houses but as a committed couple – at least to start with; it’s known as LAT – Living Apart Together. A friend suggested I downloaded Bumble, an app designed by women for women. Women make the first swipe (to the right) and men have 24 hours to respond. As with Tinder, it’s a location-based app that relies heavily on appearances and, I think, tends to attract men keen on a fling rather than a deeper connection. “Not your average 50-year-old – take me for a spin around the block,’ says one and another, “let’s see if there’s chemistry for a fling or more.” Some advertise that they are passionate and sensual, or good kissers. Radio National’s Life Matters program is running a series on Online Dating, and last week it was dedicated to the over 50s. One woman, who did succeed in finding love, believes that the profile and how it is written is all-important – forget photo-based apps. For her, one spelling mistake or errant comma spells a no. I’m inclined to agree. And I liked her idea of meeting a date in an art gallery – it’s a good testing ground and on neutral territory. How a potential partner responds to an exhibition provides a good insight into their personality too. But what is the likelihood of meeting an available man – I seem to have been a magnet for married men all my life – by chance in a gallery and getting cosy over the captions? Which brings me back to options in the real world and my determination to try a few. Hanging out in cafes with my dog and an interesting book is not new, but I will aim to frequent different cafes in different neighbourhoods (interestingly, a friend recently sent me an article detailing which Melbourne suburbs have the highest density of singletons). Then a girlfriend and I plan to go to book launches and other events that have a social component, the kind of functions where you can start a conversation with someone based on what you have just seen or heard. Solo travel can be exciting on all levels too, and there’s a you-never-know element. I got chatted up by a 30-year-old barman in Frankfurt a few years ago – he was a bit of a lush and a bit louche to boot but it did my ego the world of good and reminded me that anything is possible. In a concession to Cupid, I considered going to a Valentine’s Day event billed as a ‘Single, Mingle’ hosted by Bumble. With menu items including a kiss booth, photo booth, match-making and speed-dating it sounded much more 20s to 40s than my vintage. I emailed to ask about the age range and a week later got a reply: “unfortunately we have been unable to provide further details to users about this as of yet.” I decided against it. Instead I am going to a German Meet-Up group which will get my brain cells into gear if nothing else. Last time I was having a deep and meaningful chat with Fritz (not his real name) who told me he was an introvert and came across as a bit lonely. I was enjoying our chat until someone came up and asked how his wife was. Plus ca change as the French would say. Ah well, if the real world bears no fruit, I might have to eat my words, swing a golf club or two, swipe an App or craft a word-perfect profile. Watch this space.